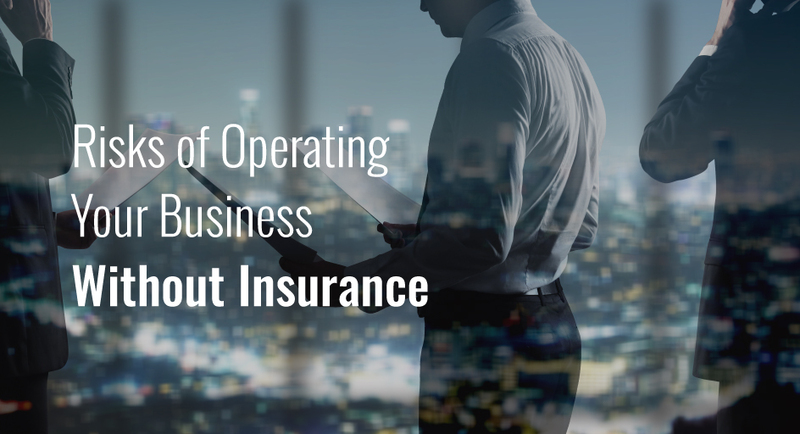 Risks of Operating Your Business Without Insurance - Porch-Stribling-Webb, Inc. When running a business is already expensive, one of the last things you may want to do is add on expenses for insurance. Every business owner hopes they won’t need it because hopefully nothing would ever go wrong. However, there are several reasons why having business insurance is helpful as well as reasons why not having insurance can hurt you. Check out these risks you run below when you try to put off having your business insured. Most of the country has laws stating that businesses must have certain types of insurance or a certain amount of coverage. If you have at least one employee, you must have at least general liability insurance for your business. You may even be required to have additional protection for things such as workers compensation, property insurance if you are located in an area prone to natural disasters, or even coverage against lawsuits. You shouldn’t have insurance for your workers just because you are required to. Workers compensation coverage helps both you and your employees by taking care of them if an accident happens and making sure you are able to afford any medical bills they have from the incident. If you don’t have a workers compensation policy in place, you could be liable for a lawsuit and be out a lot of money. In addition to workers compensation, you will also need unemployment insurance for if your employees are unable to continue work for a while. If anything were to happen to your uninsured business such as a fire or flood, you won’t have any means to recover and you will be left with the financial consequences of repairs and interrupted business operations. So while you won’t be making any profit, you’ll also be losing money if you plan to reopen your business. Insurance can help protect you by covering any losses as well as any lost income during the period that your business will be paused. Buying property insurance for your business helps you hold onto your most important asset in the event of a disaster: the property you exist on. Without that insurance, you will end up losing possession of your property and be unable to continue operation if anything were to happen to your building. The risks you take of not having adequate insurance coverage for your business just isn’t worth taking. Call one of our agents today to make sure your business is protected against the unexpected.